Aromatherapy - Improve how you breathe at night to help eliminate snoring problems with a wide variety of aromatherapy techniques. 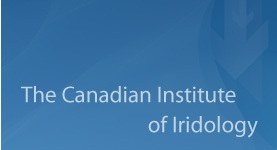 Canadian Interdisciplinary Network for Complementary and Alternative Medicine Research (IN-CAM) - A collaborative research network, created to foster excellence in complementary and alternative medicine (CAM) research in Canada. Features membership information, symposia and other events. Consumer Health Organization of Canada - A non-profit organization making people aware of the holistic or alternative approaches to health. Includes information on prevention of disease through nutrition, whole foods, dietary supplements, herbs and related resources. Good Health for Canadians - A weblog for Canadians interested in good health and self health care information and resources. Health Action Network Society - A non-profit health education organization who facilitate individual wellness through education and networking in Canada. Features a directory of practitioners, categorized by their speciality. Herbal Magic Weight Loss and Nutrition Centres - Provides solutions for health improvement and weight loss with herbal remedies, from locations across Canada. Includes franchise information and offers online shopping. Homeopathic Medical Council of Canada - A Canadian medical directory for holistic health physicians and alternative medicine providers. Features a listing of homeopathic practitioners, definitions, news and membership form. Learning Disabilities - Learn more about the diagnosis and treatment for ADD and ADHD in children and adults. Lotus Medicine - Contains text and video materials on Ayurveda, Yoga, Chinese medicine and acupuncture, bodywork, clinical palmistry and Vedic astrology. Mind-Body Medicine Canada - Information about this medical clinic which assists individuals to cope with and/or alleviate physical and emotional pain through empathy, education, holistic treatments and transformation. Natural Health Coalition - Information portal for Canadians concerned with future restriction/regulation of natural herbal products by Health Canada and the Natural Herbal Products Directorate. NaturalHealthcare.ca - Information about herbal remedies, complementary and alternative therapies, and directories of practitioners and suppliers. Also features articles and free downloadable tools. Stop Smoking Hypnosis - Quit smoking with hypnotherapy sessions in Melbourne! Consult amongst the top hypnotherapists in Melbourne. Used Ultrasound - LBN Medical is a seller of refurbished medical equipment including used ultrasound equipment. Western Canadian Holistic Health World - Directory of sites which offer health products and services in Ontario and Saskatchewan. QuitSmokingCommunity.org - Raises awareness of the consequencesnof smoking and helps communities become smoke-free. AlcoRehab.org - Group of professionals who are passionate about helping those struggling with alcoholism. Recovery Village - Organization dedicated to helping those struggling with substance abuse into recovery. They believe that quality content is key in providing individuals and their loved ones with additional information, and help people learn about the dangers of alcoholism and how to get help.